with P2 PROGRAMS RECYCLED TEXTILES TRACKING SYSTEM! Wouldn’t It Be Great For Your company to update and improve their tracking system? Then it’s time to try our software! Giving your employees better tools allows the opportunity to not only increase their performance and productivity, but to also help ensure accuracy by reducing mistakes. Our software accomplishes this by keeping track of the majority of your company’s activities electronically, greatly reducing the need for manual paperwork. When there is less paperwork involved, there is less room for error due to inaccurate copying or loss of information. In turn, your losses and costs are reduced! 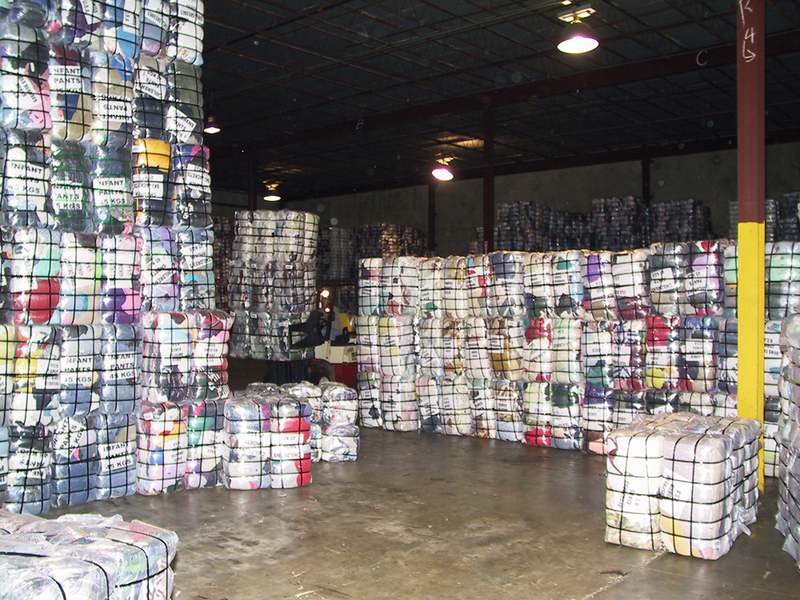 The Recycled Textiles Tracking System can interact with both Quickbooks and Bartender. Interaction with Quickbooks allows for simple creation of invoices by using software with which you may already be familiar, while Bartender helps you effortlessly create custom barcode labels. 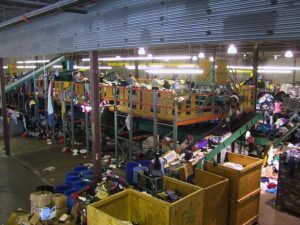 The Recycled Textiles Tracking System gives you the tools to establish a custom barcode serial number for each bale of material that you produce. This benefits you by allowing simple tracking of your entire inventory. P2 Programs’ high quality barcode labels are easy to create and print, as well as capable of being scanned from several feet away by a laser scanner. RTS Process Overview – How we do it! The first step in using RTS is to enter the orders into the system. This is accomplished by either hand keying in new orders, duplicating existing or closed orders or importing the information from another application. Once you have entered the orders, you can begin the manufacturing process. You can follow three different paths in the manufacturing process. The first is manufacturing to the customer or bale label. This allows you to create and set aside a bale directly for a customer. The second way is to manufacturing to stock. If you chose to do this, then the bales that are made go to your general inventory and can be used on any order in the RTS application. The third path is manufacturing to a specific order. This allows you to create and set aside bales for specific orders. After you have entered the order information into the system and chosen a path for it, you must print the labels for each bale. As you produce a bale, you print a label and apply the label to that bale. 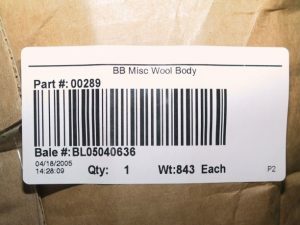 All activities that you perform on this bale are traced using this label, with its unique barcode ID number. Select an open order in the RTS application that is scheduled to be shipped. You can view all inventory that is available for shipment against the open order on the Open Items tab. If inventory is available for this order, you can create a Pick List. This is essentially a to-do list for the order of the items that are to be picked for shipment. After the pick list has been completed, you are ready to ship the bales. When you are shipping the bales, you will be using a WiFi enabled Mobile Computer. First, you will enter the customer and order number that you are shipping. Next, the mobile computer will prompt you to enter the information about the trailer, such as a Bill of Lading number. 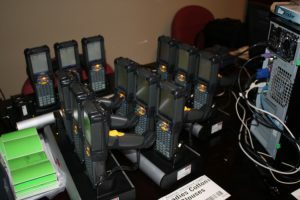 As each barcode label is put on the truck, it will be scanned. 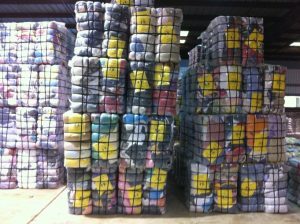 This allows the system to verify that this bale matches a product on the order and the appropriate quantity. You can remove or add pieces from a truck with the mobile computer. After you have completed the loading process, you can print out a packing list for the truck without ever leaving the loading dock by using the mobile computer. After the orders have been fulfilled and shipped, you want to create invoices for them. This can be done directly from the order or it can be exported to QuickBooks.